Sasha Regan’s critically acclaimed all-male IOLANTHE will open at Wilton’s Music Hall on Friday 1 April, following previews from 30 March, for a limited season, ending 7 May. Originally staged at the Union Theatre towards the end of last year, this is the second Union Theatre production to transfer to Wilton’s, following the success of Pirates of Penzance last year, which won the Best Off-West End Production in the Whatsonstage Awards 2010. Sasha Regan’s production, with design by Stewart Charlesworth, has been set in a public boys’ school. Choreography is by Mark Smith, director and choreographer of new dance company, Deaf Men Dancing, with musical supervision by Michael England and musical direction by Chris Mundy. 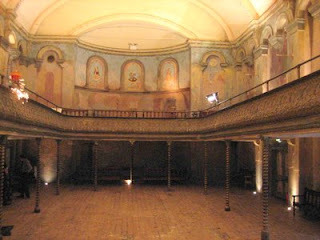 The amazing Wilton's Theatre (above) looks worth a visit just for itself! Full details on the West End Theatre Website and Wilton's Theatre. And here is a review of Sasha Regan's 2010 award-winning Pirates of Penzance. 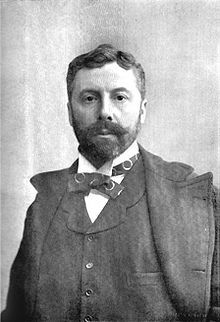 Dr Susan Skedd, English Heritage's Blue Plaques Historian said: "Carte was unrivalled in his day as a theatrical manager and will be the first opera impresario to be honoured with a blue plaque." Full details on The Telegraph Website.